Designed by Ian Ryan of Sae Design, the award-winning plates feature colorful, iconic scenes, such as Kilauea Volcano erupting, and the nene, the revered Hawaiian state bird and a conservation success story. The program was authorized by a 2015 state law to raise funds for resource protection and education projects at Haleakala and Hawaii Volcanoes national parks. Hawai’i Pacific Parks Association announced that it, along with its national park partners, has won an Honorable Mention Award in the Outstanding Public Engagement category at the Public Lands Alliance Convention and Trade Show in Denver. This honor was awarded to the association’s Hawaii National Park Specialty License Plate Program to benefit Haleakala and Hawaii Volcanoes National Parks. These awards celebrate the best in public lands partnerships and honor individuals, organizations, publications, products, programs and services that embody leading-edge achievements in the preservation of public lands and the enrichment of the visitors’ experiences. 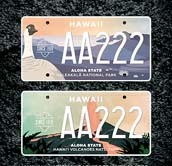 The first specialty license plates in Hawaii became available from local DMV offices on Aug. 1, 2017, the 101st anniversary of the establishment of the two parks, originally known as Hawaii National Park. Designed by Ian Ryan of Sae Design, the plates feature colorful, iconic scenes, such as Kilauea Volcano erupting, and the nene, the revered Hawaiian state bird and a conservation success story. 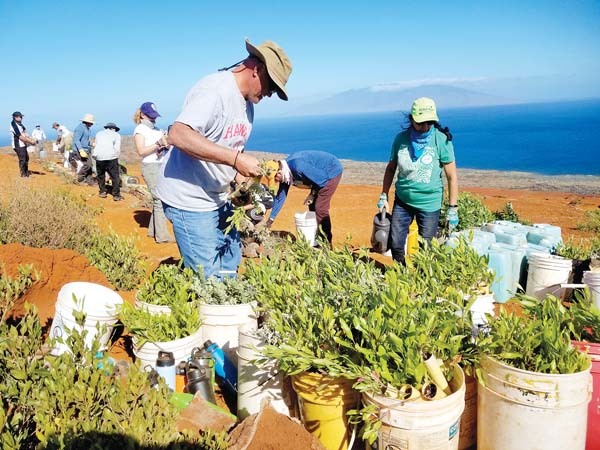 The program was authorized by a 2015 state law to raise funds for resource protection and education projects at Haleakala and Hawaii Volcanoes national parks. The specialty license plates program is doubly beneficial because plate purchases and annual renewal fees mean an ongoing income stream for park programs. Because HPPA understands that nonresident park visitors still want to support the parks, it created merchandise items including a keychain spinner showing both national park plates and, for Haleakala National Park, a line that includes travel mugs, stickers, postcards and plate replicas.